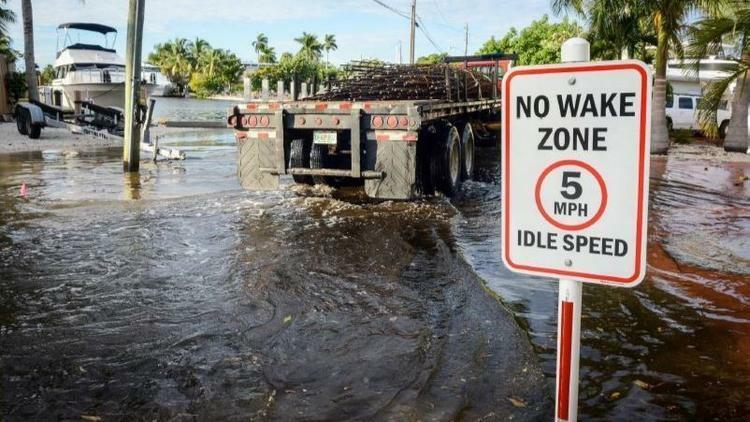 As part of its multi-year strategy to address flood risk resulting from sea level rise and more intense rainfall, Broward County is advancing new resiliency standards for project licensing & design of seawalls and top-of-bank elevation. The proposed standard requires a minimum elevation of four feet NAVD88 by 2035 and five feet NAVD88 by 2050 for seawalls and shorelines within tidally-influenced waterways. It would apply to all new construction, major renovation, new licenses, and when a property is identified as the source of trespass of tidal flood waters onto adjacent property. As proposed, Broward coastal municipalities would have two years from the time of county adoption to amend local ordinances for compliance. To develop these recommendations, Broward County applied advanced hydrologic models, including a recently completed Flood Risk Management Study for Tidally Influenced Coastal Areas jointly undertaken with the U.S. Army Corps of Engineers. This study analyzed the combined flood effects of sea level rise, high tides, and high frequency storm events, and tested the flood improvements achieved with raising seawalls to a common top elevation. The analysis was augmented by a risk assessment performed by Risk Management Solutions, Inc., focused on damage loss reductions and economic activity, indicating that a minimum standard elevation of five feet NAVD88 for seawalls and shorelines will significantly reduce flood risk through 2070, accounting for two feet of sea level rise, high tides, and an additional one-foot storm surge (characteristic of high frequency storm events). The joint management study proposed a phased timeline for implementation, with implementation anticipated through an amendment to the county’s land use plan and its code of ordinances. The proposal was shared at several municipal workshops and in November, the Broward County Commission approved the initiation of a land use plan amendment to establish a seawall and top-of-bank elevation in accordance with sea level rise predicted through 2070. The item is anticipated to be presented for adoption by the County Commission by December 2019. Recent presentations and discussion regarding the proposed policy can be viewed here. Questions pertaining to this effort can be directed to [email protected]. Previous Post: Can she keep Miami Beach above the rising sea?